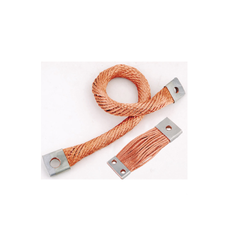 Pioneers in the industry, we offer copper rope connector, copper braided stranded rope, stranded copper flexible and braided copper flexible connector in round flat from India. Leveraging upon our technologically-advanced production facility, we are actively engaged in offering the wide assortment of Copper Rope Connector. The offered connectors are fabricated with the help of finest grade metal and contemporary tools in compliance with set industrial norms. We offer these connectors in a number of sizes and dimensions as per the information laid down by our valuable clients. We are offering a high-quality range of Copper Braided Stranded Rope to our most reliable clients. These products are commonly used as the flexible expansion joints for connecting the bus bars in different applications. Offered range of product is made from optimum quality material and manufactured under the supervision of an expert team of professionals in adhering to the international quality standards at our vendor's end. One can avail these products at a pocket-friendly price from us. 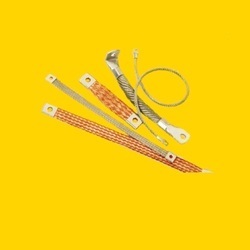 We are among the celebrated names in the industry for supplying and trading Stranded Copper Flexible. The offered products are sourced from a reliable vendor base and are highly regarded by our clients. These ropes and strips are installed in turbine connectors and control panels. The offered ropes are dimensionally accurate and require low maintenance. We are involved in manufacturing a wide spectrum of Braided Copper Flexible Connector In Round Flat so that caters the various industrial requirements. The connectors are highly acclaimed by the industrial customers for various applications. Copper flexible connectors manufactured by us in accordance with industrial quality standards. As a leading copper flexible connectors manufacturers, it has been precisely prepared by the skilled workforce using a high-tech process which ensures its longer functionality.